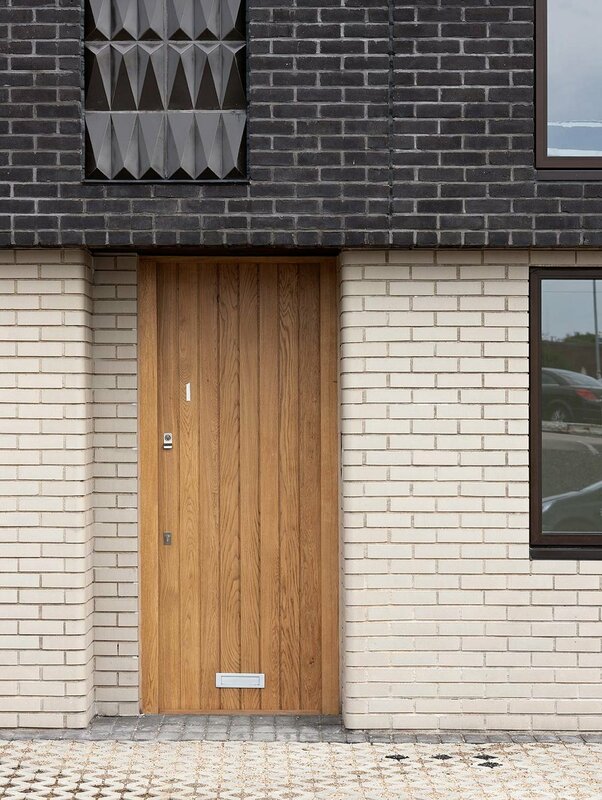 Darwen Terracotta and Faience are experts in new build. Because handmade terracotta and faience offer practically unlimited design flexibility for shape, size and colour, the only real limit is your imagination. 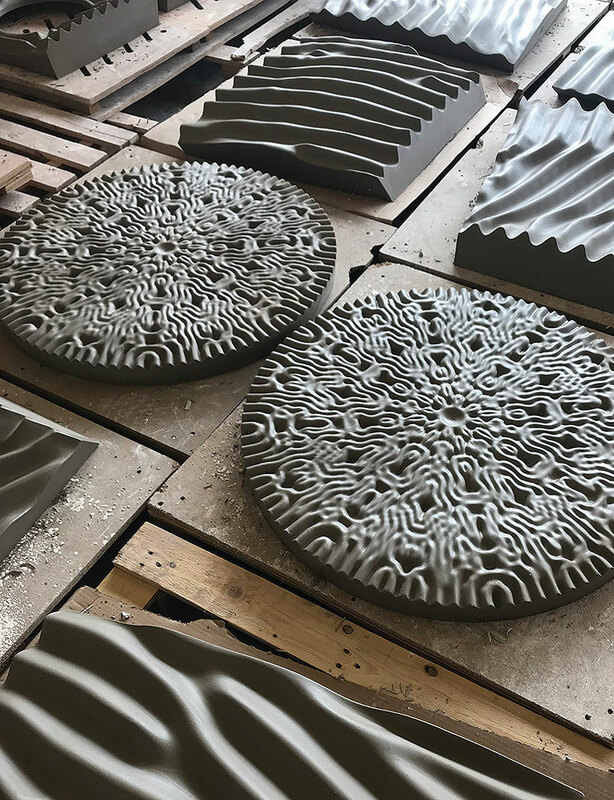 Handmade terracotta and faience offer almost unlimited design flexibility in shape, size and colour, with outstanding durability and performance properties. It's for just these reasons that an increasing number of architects are embracing the use of ceramic for building facades. Our handcrafted, traditional methods are combined with modern kiln-firing technology resulting in glazes that can be anything from matt to high gloss, with either plain or very complex mottling and reactive layering, creating wonderful effects full of life and character. Add to this the very latest transfer technology and you have a product that is both traditional and cutting edge. Due to its abundant raw material source, low embodied energy, exceptional durability and low maintenance, terracotta is also a great sustainable choice, reducing solar heat gain through solar shading. Get in touch to see how we can work with you to turn your designs and finishes into reality. New faience frontage for Plaquemine Lock, an English pub set on the Regents Canal in Angel, Islington. The name of the development was inspired by former resident Somerset Maugham’s novel, ‘The Magician’, the main protagonist of which is Oliver Haddo based on the occultist Aleister Crowley. The aesthetic character of the building takes its cues from the local context, with the dark brick gables evoking the distinctive forms and tones of the black timber fishing huts that populate the sea front. 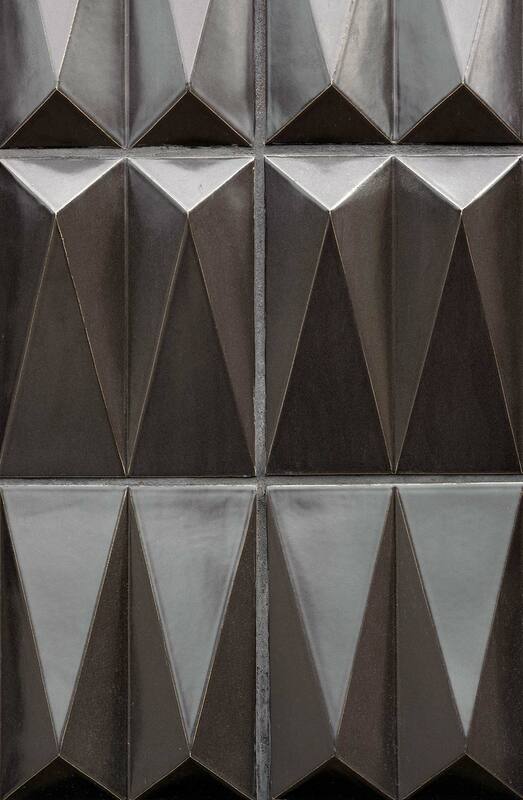 Bespoke tiles, referencing the faience tiles evidenced throughout the town, are based on these triangles and provide decorative relief to the principal, public facing elevation, recognising the presence of the building within the public setting. Artist James Bloomfield's collaboration with us is a celebration of the craftsperson’s hand and a poignant and powerful symbol of the camaraderie, trust and friendship of workers at Darwen Terracotta. Complex sculptural shapes and daring, polychromatic cornice transfers are the hallmarks of this Crown Estate project. Photo with thanks to Szerelmey. 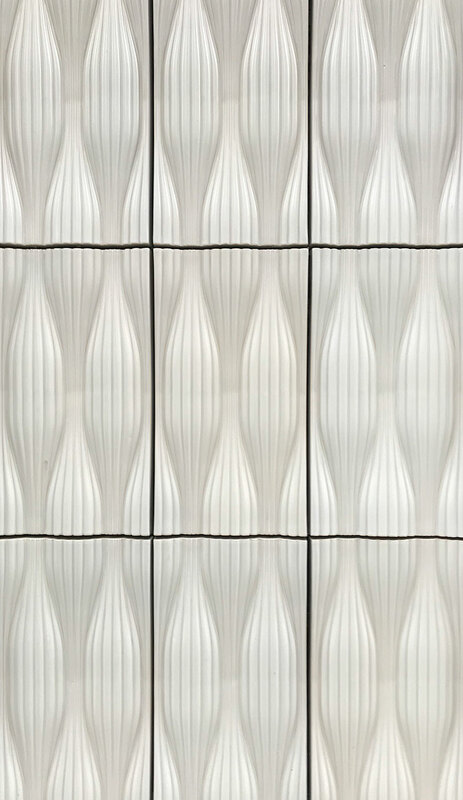 Over 2000no faience blocks were created to revitalise the former Regents Palace Hotel in London. The stunning extension in glass and ceramic has received the highest accolades with the complex, high-gloss glazed fins seeming to float above the structure. The façade of the new building with its huge 'floating' letters is one of Hackney's most iconic landmarks. Utilising an original Cole and Sons design for the panels, this was the first new development to use traditional handmade faience for many years. It celebrates the site's former use as Cole and Sons wallpaper factory. The beautiful Parry designed sculptural faience ribs work beautifully with the more traditional terracotta to create this strikingly modern office development. With thanks to Eric Parry Architects for images. One of the countries finest and best loved Grade 1 Listed buildings. The brief was to create a new south porch which would replace the existing terracotta to the highest of standards. — David Elliot, Chief Executive, The Royal Albert Hall. Clad in scalloped blue faience tiles, the core walls at the heart of these stunning offices soften the light and surface. Grayson Perry's exquisite collaboration with FAT for this unique folly required the production of hundreds of complex faience panels to clad the exterior and chimney of this remarkable building.  They were brilliant: very professional and amazingly painstaking. I am pleased that they are going to be maintaining what is a great tradition. As part of the Whitworth's £15M reworking, a slash-and-stitch design was created for the exterior brick wall and interior signage created by cutting through the faience to reveal the terracotta below. As part of York Art Gallery's major redevelopment, more than 300 double hexagon shaped tiles were created, alluding to the unique style of paving known as “Stable Paviours” or “Rosemary Setts” used on numerous alleys and back streets in the city. Artist Tod Hanson was appointed to create artwork for this London borough railway bridge. The design team and Tod decided to use green faience tiles, which are used on the Northern Line and across London, to link the sites. Artist Richard Perry created these five beautiful ceramic sculptures, including 3 water columns and 2 marker pieces. Heights 4, 3, 2 and 1 metres. Commissioned by Grosvenor Estates for Festival Square, Basingstoke, 2002.